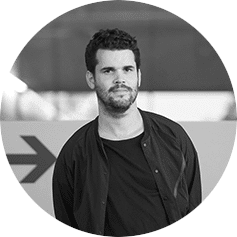 Tomas Diez is a Venezuela-born Urbanist who specialises in Digital Fabrication and its implications for the future of cities. He is the director of Fab Lab Barcelona at the Institute for Advanced Architecture of Catalonia, the Fab Academy global coordinator and the European project manager of the Fab Foundation. He holds a bachelor degree in Urban planning and Sociology from the University Simon Bolivar (Caracas – Venezuela), a Diploma in Social Work at the University of Havana (Cuba), a Master in Advanced Architecture by IAAC, and a Diploma on Digital Fabrication in a pilot programme on the class “How to Make Almost Anything”, offered by MIT centre for Bits and Atoms in 2008 as the year zero of the Fab Academy. He works as a close collaborator in the development of the Fab Lab Network together with MIT and the Fab Foundation. He is a tutor in Design at the Royal College of Arts in London; Co-founder of the Smart Citizen project and StudioP52, both in Barcelona, and has been the co-chair of the FAB10 Barcelona, the 10th international Fab Lab conference and annual meeting hosted by IAAC in 2014. Tomas has been appointed by The Guardian and Nesta as one of the top 10 digital social innovators to watch in 2013 and has been awarded the Catalan ICT association as the entrepreneur of the year in 2014-15. His research interests relate to the use of digital fabrication tools to transform the reality, and how the use of new technologies can change the way people consume, produce and relate to each other in cities.